The moon does so much more than simply influence the tides and oceans of Planet Earth. It deeply affects all life on the planet whether you are aware of it or not. Given that the human body is more than 70% water it makes sense that the pull of the moon would have an effect on our bodies. Full moons are beautiful to look at and moon-bathe under. They are wonderful for charging crystals and have an energy of completion and fruition. New moons on the other hand offer a sense of new beginnings and anticipation. Meditating on the energy of the moon is a wonderful way to connect with it and to harness the energy to bring it into your life. 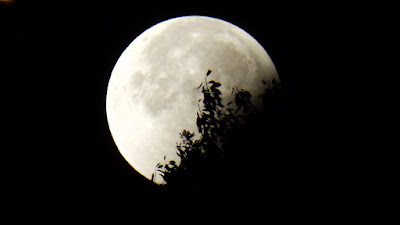 Debi uses the lunar cycles when planning meditations and other workshops. The next workshop is being held on Saturday 21st May and will focus on teaching you how to work with lunar cycles. You will learn which cycles are good for starting new projects and which are better for completions. You will learn about the waxing and waning of the moon and what these energies symbolise in your daily life. If you would like to learn more about the moon and how to work with its beautiful energy then please come along to this workshop.